Gingerbread Granola. I know that Thanksgiving has not officially happened yet, but let’s move on to some Christmas food! One of the first flavors I think of is gingerbread. I bring you, Gingerbread Granola. The stores don’t waste any time pushing the holidays out. I think that I saw the Christmas decorations coming out at Target the day after Halloween. 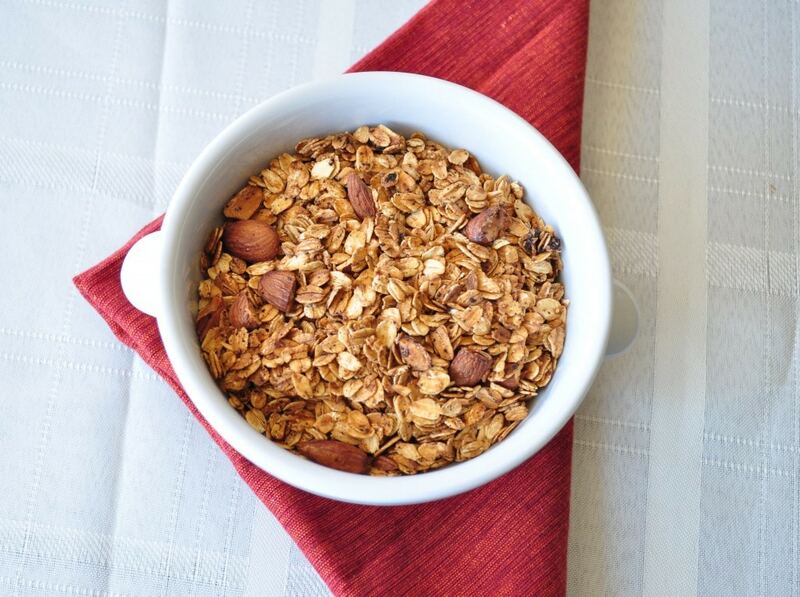 This granola is so good. Even as I type, I am munching it. 🙂 This dish would be a great thing to serve on Christmas morning. My whole house smells like a Yankee Candle now, bringing back memories. It’s funny how just a smell or a song can transplant you back in time. In a large bowl , combine all the dry ingredients. In a medium bowl , combine wet ingredients. Add wet to dry making sure all the dry ingredients are evenly coated. Place onto lined baking sheet and cook in the oven for about 30 minutes, stopping to shake the pans halfway through. Enjoy! This made my house smell fantastic! !